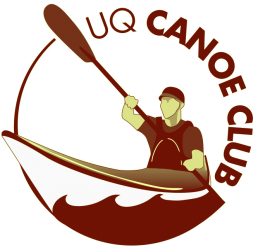 Canoe Polo is one of the best ways to refine your kayaking skills in a safe environment. Rough to the eye, it has all the action of a football game and yet is the safest of all kayaking. It is a fast, energetic and extremely skilful game that is played in swimming pools, creeks, and lakes. 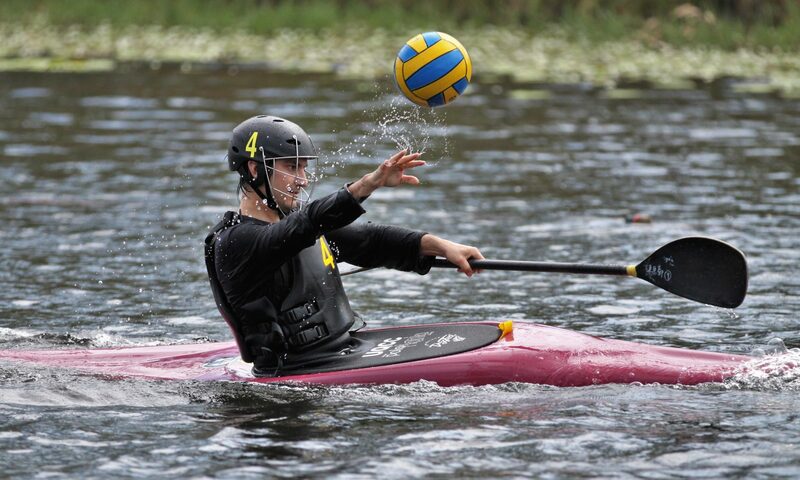 It combines the ball skills of basketball and water polo with kayaking skills for manoeuvrability. 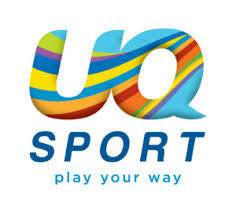 Each team has up to eight players, with up to five being on the playing field at any one time. The field is 35 x 20 metres in size, with a goal suspended at each end, suspended two metres above the water. The rules are based on safety, allowing fast, exciting play, that is very entertaining for spectators. Each player paddles a specially designed kayak called a “polo bat” that is up to three metres long. Players in possession of the ball can be “tackled” by the opposition’s kayak, or “hand tackled” on the shoulder and capsized. The ball is passed hand to hand as in water polo, or flicked using the paddle. Paddles can also be used to intercept passes and block shots at goal. 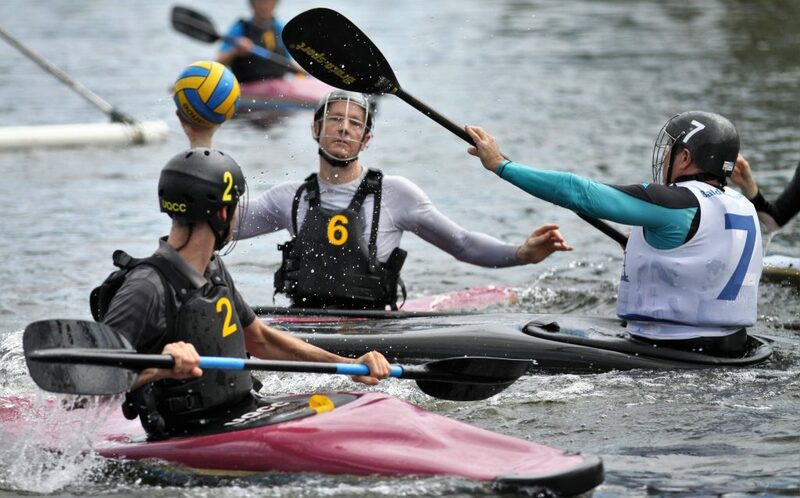 Canoe polo is a great way to build/maintain the fitness and skills you need for all paddle disciplines. 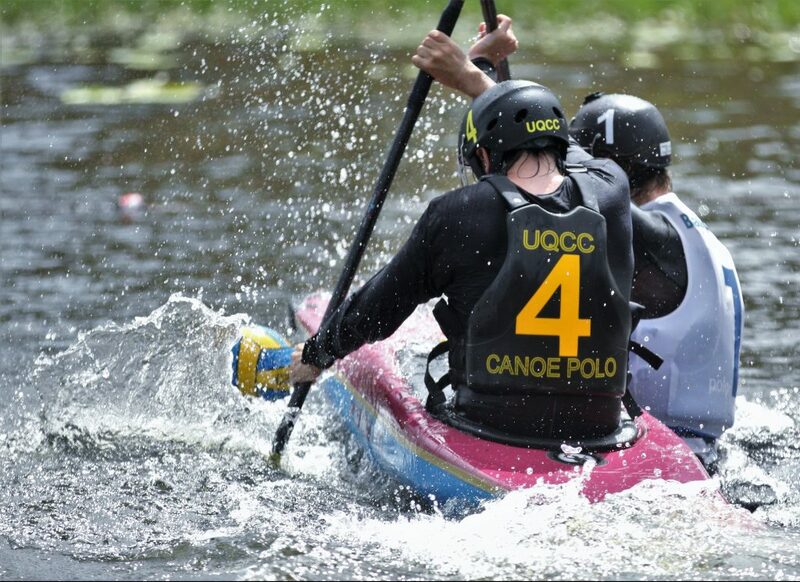 Look at the canoe polo training calendar, and also upcoming events for polo competitions and trips.